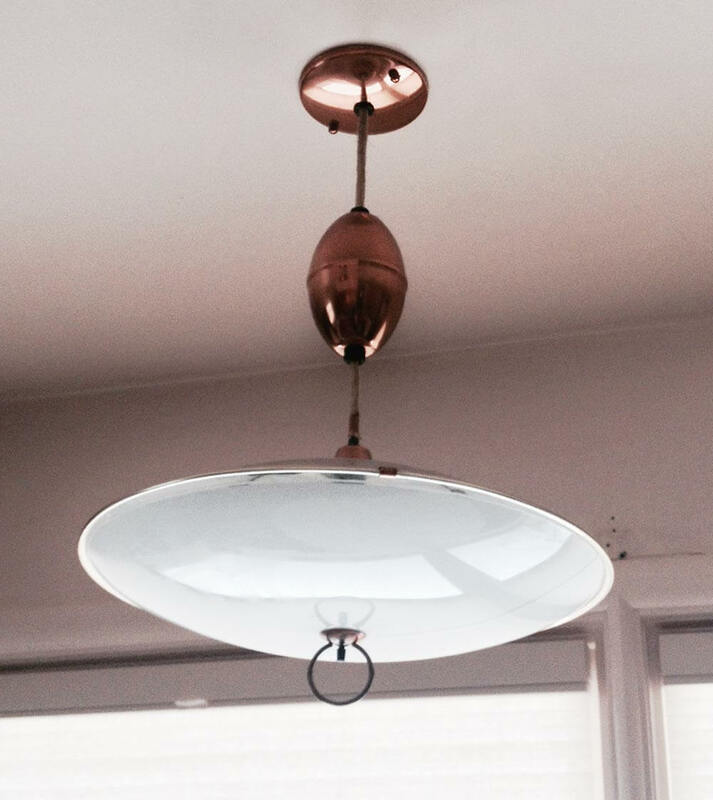 AtomicHipster John has been updating (well: backdating) his ranch house in Western Mass. for a while. 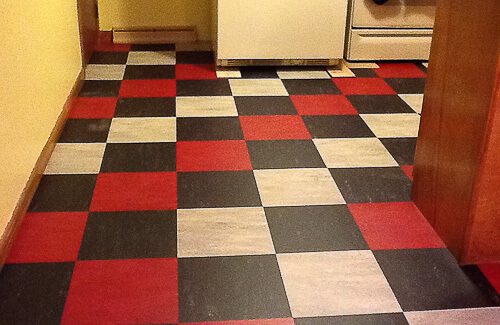 His latest project: Installing Marmoleum linoleum tiles in his kitchen, using a pattern he devised himself to make the most of the design of the kitchen and his desire for a red, black, and light gray palette. Party on for more photos and information about this impressive kitchen transformation. Hi Pam, My kitchen floor is all finished now and furniture has been moved in. It was installed last Monday and Tuesday by Manny from Summerlin Flooring in Amherst, Ma. Manny was great, he was very professional, cleaned up after himself and made several suggestions I never would have thought of that really helped with the finished look. Paul, Manny and the rest of the gang at Summerlin were so helpful and made my dream floor become a reality with no hassles to speak of. I couldn’t be happier with the outcome. I try to use everything I buy rather than it just being for show. I also love diners so I tried to reflec that in my kitchen with menus from area diners and pictures of diners by Dan Sawyer who lives up in NH I believe. Thanks for all the nice compliments about my floor. It was a labor of love. Beautiful job, beautiful floor….how beautiful? First time I’ve been sorry that I didn’t include red in my back hall and stairs and I really LOVE black and white. it really looks great, your original floor was tile? and you had to lay a subfloor over that or did you rip up the floor tiles? Was felt an option instead of the subfloor? Is Forbo less slippery then the Armstrong? Are you happy with the size of the tiles 13″ x 13″ ? I was inspired by John, and just did my kitchen floor this weekend. I have a plywood subfloor. Forbo is definitely less slippery then the Armstrong. And I love the 13? x 13? tiles, they were so easy to cut and work with. I have a bunch of tiles left (Blue, Black, Jade, Eucalyptus) if anyone is interested in buying, I’d be happy to ship them while they’re fresh. The floor looks great, Christina! Can I show one of your photos on the blog? When my Formica counter top is installed on Friday, I’ll upload an ‘after’ view from that same angle on flickr. I love the graphic design of this kitchen floor! 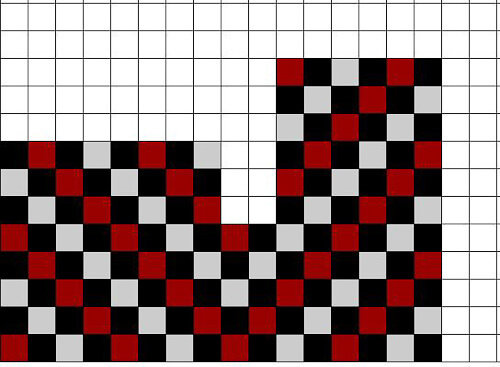 I’ve been looking for ideas for a small bathroom online and came across the website for modular tiles. http://www.modularitytiles.com/photo_gallery.php They allow you to create a custom design with circles as well as squares. My question is: Have any of you ever used this product and what do you think? Any info. would be greatly appreciated. I’ve read all about the product on their website but I want to hear about personal experiences. 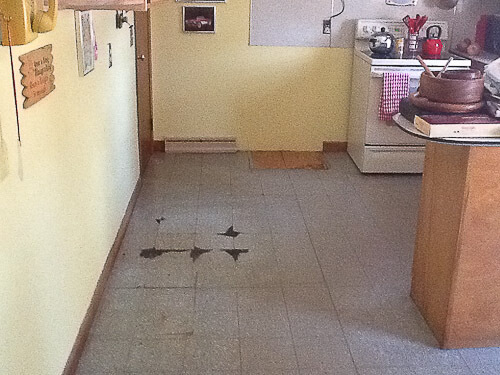 Pam, could you explain the “different look” between linoleum tile and VCT tile? Also, I’ve heard people shy away from linoleum due to the maintenance, but just read on one of your posts that one must strip, polish, and buff VCT “regularly” to maintain it. So which of the two requires more maintenance? Thank you! Karen, I am not an expert on maintenance issues — consult with the companies that you are looking at. 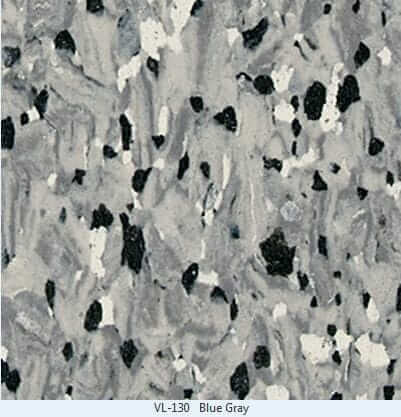 As far as “the look” goes, VCT can be designed to look just like linoleum and vice versa, I think…. Pam, I realize you are not an expert on maintenance, but I was reading your post (not this one) about your own kitchen in which you stated you must strip, buff, and polish VCT to keep it looking good. I had never heard of this before, so I wanted to inquire about your own particular experience, now that you have lived with your new floor a while. Perhaps I should have put my question under that particular article and worded it differently and it would have made sense. . . As far as “the look,” my question was trying to clarify what you said above in response to a different Karen (not me) on Feb 14, 2012, that “It’s a different look than linoleum…” I had always thought, like you just responded to me, that “VCT can be designed to look just like linoleum and vice versa,” so when I read the Feb 14 entry, I was a little confused and trying to get clear. Sorry. Hi Karen. Sorry this got so tangled. As years have gone by and the longer I’ve blogged, I’ve found that there are more and more manufacturers introducing possible-use products. Each or many have different qualities and these can change over time, so my response to check current status reflects that fact. For example, I recall doing a feature a while back on one linoleum maker who said their product was easy-maintenance. 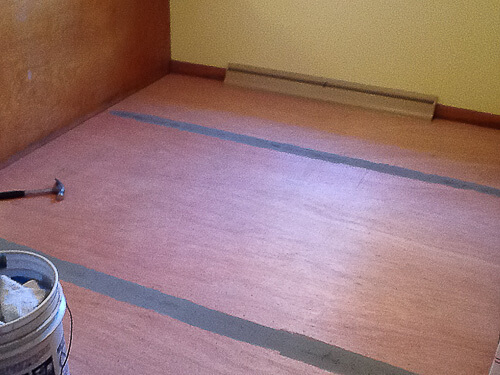 Relatedly, there may well be vinyl and vinyl composite floorings that do not need to be polished. 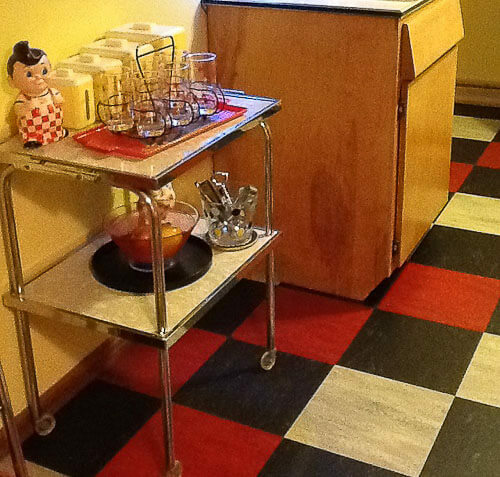 And, as time has gone on, I’ve seen some examples of vct that resemble marbleized linoleum, and linoleum that has a bit of the look of vintage VCT. So, it’s hard to answer the question so broadly. 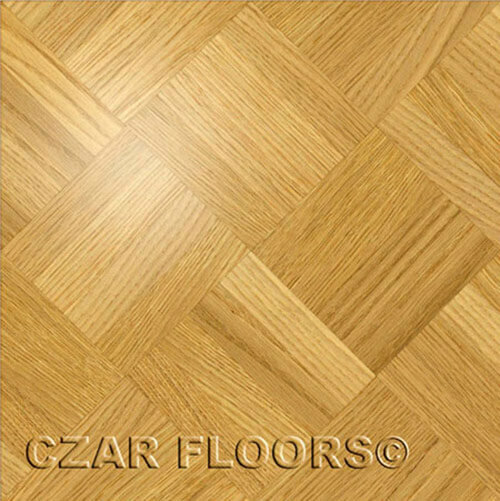 Have you taken a dive into our Flooring subcategory? 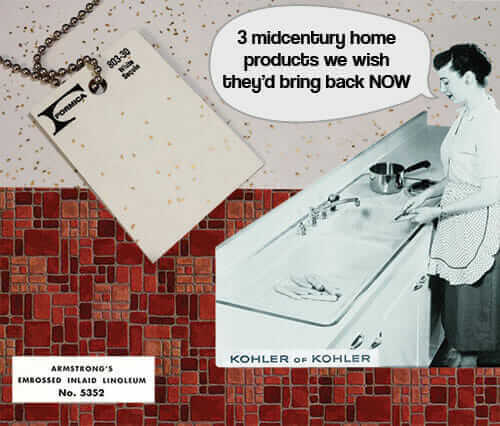 In the very first feature box we have a story on 25 companies to research for vinyl, linoleum and cork that might be suitable for a Retro Renovation. Dive in!